Another snowstorm? Another MMSF newsletter full of upcoming events this winter, spring, and summer! Check it out, and sign up for our email newsletters! Our next upcoming event is the monthly MMSF “Turkey Shoot” Triathlon (pool, darts, pistols) is coming up on Friday (February 22nd). Read more about it here! This entry was posted in Events, Newsletters and tagged events, newsletters, snowstorm, turkey shoots on February 17, 2013 by mmsf. Don’t be “shut out” of the upcoming darts, pool and pistols, food and fun “Turkey Shoots” where everyone SCORES! Sign up now with your Team of 4 (and two alternate members) or buy your individual “Shooter Tickets” ($20) or “Cheerleader Tickets” ($10) online now ! 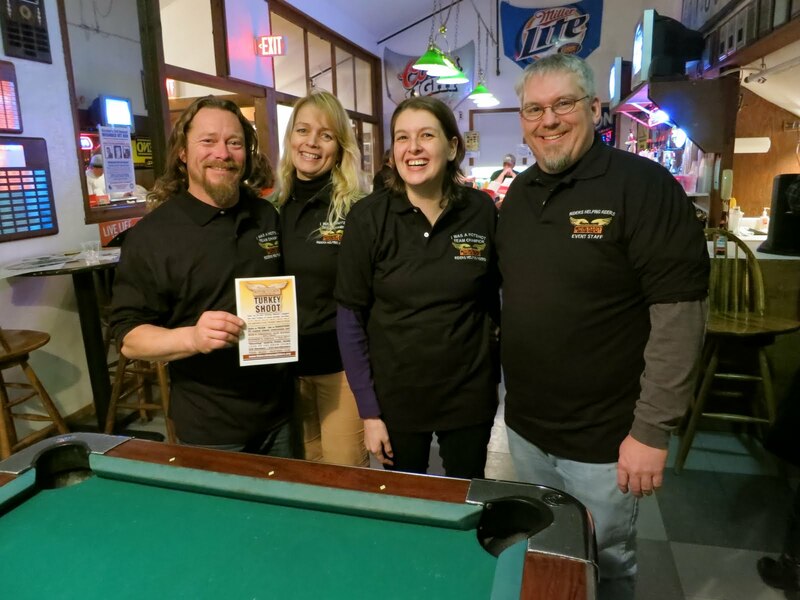 Registration (and first wave of food) starts at 6:30 pm at Winner’s Circle in Salisbury, where ‘shooting teams’ compete with darts and pool. The gun portion takes place at Bob’s Original Gun Range (just a 2 mile drive down the road). 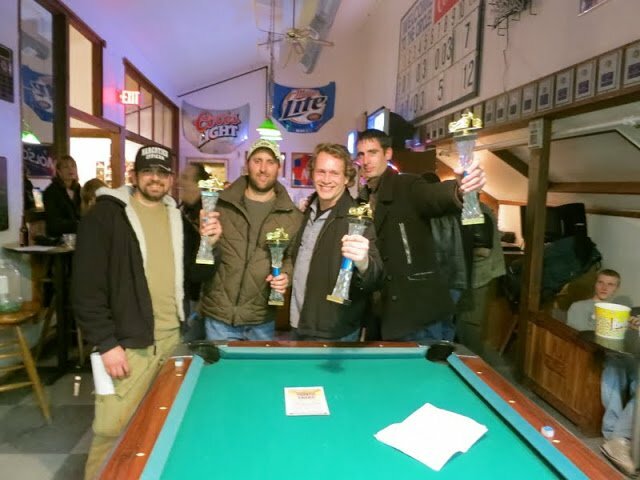 Shooters return to the Winner’s Circle for MORE food, tallying the scores and before 10:30, the TOP SHOTS are awarded their trophies! This entry was posted in Events, Supporters and tagged bob's original, events, salisbury, turkey shoot, winners circle on February 12, 2013 by mmsf.